"..You should have met me in 1864, あなた would have liked me"
Delena; キッス me under the rain. There is something going on between the two of us, and あなた know it. 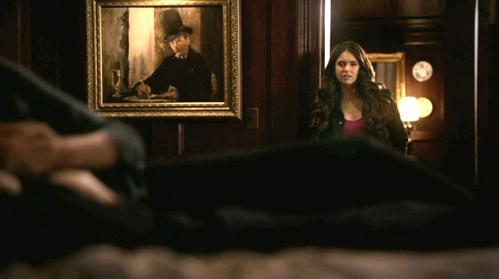 In episode 2:22 After witnessing Elena's kiss, Katherine brings the cure for Damon and responds how to Elena's "Where's Stefan?" "Are あなた sure あなた care?"